So You Think Paleo Diet Recipes And Baking Don’t Mix? Paleo Diet Recipes Don’t Include Baked Goodies? Think Again. 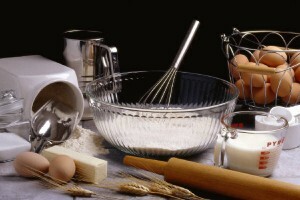 If you notice, these are major ingredients widely used in creating the most decadent baked creations, right? This led almost everyone to think they need to say good riddance to all their favorite baked goodies for good when embracing Paleo. Well, not necessarily. Whether you love baking or fond of baked products, you don’t have to give it up altogether. You still can bake, but this time, you will need to learn how to bake smartly. In my previous article, I have featured the use of herbs and spices in breathing live to Paleo diet recipes. While one cannot imagine our ancestors munching on chocolate brownies and raspberry muffins, there are actually great ways to create these treats without going against the Paleo diet recipes guidelines. With a little creativity, you can look forward to creating mouth-watering, significantly healthier baked products for you and your family to enjoy. 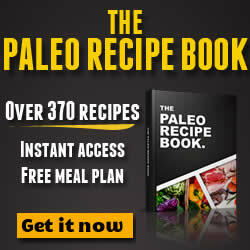 Refined flour, as you may have already known is a complete no-no in Paleo diet recipes. However, almond flour actually presents a wonderful substitute to regular wheat flour. If you have a coffee grinder, you can create and stock almond flour by grinding raw almonds that have been blanched in boiling water for 10 seconds. Make sure to store the flour in an airtight container. Butter, margarine and vegetable oil are forms of fat, which means, you will need to substitute them with a healthier Paleo-approved fat. Great alternatives include canola oil, coconut oil, almond and walnut oil. If you want to infuse that nice nutty flavor, walnut and almond oils are perfect substitutes, although both can be slightly more expensive. For ingredients that call for that light, tropical flair to it, coconut oil is the perfect choice, which also happens to work well with cookies and pie crusts. When using any of the aforementioned alternatives, make sure to add a small pinch of salt with every half a cup of butter you replace. This will help you retain that buttery flavor with that hint of saltiness. It can be a problem if the recipe calls for the use of sugar since it is not included in the list of approved Paleo diet ingredients. You can replace sugar with maple and honey syrup, which are both natural sweeteners. As a guideline, 4 tablespoons of sugar should be substituted with 3 tablespoons of honey. Agave nectar is also recommended, which has a considerably lower glycemic index. When using, keep in mind that agave is actually 25% sweeter than the regular sugar so you need to use less. How about if you simply want to cut down on the amount of fat from your baked goodies? You don’t have to feel deprived since there are actually a number of healthy alternatives to choose from such as fruit puree like crushed pineapples and mashed bananas as well as vegetable purees such as carrots and zucchinis. Milk is definitely not part of any Paleo diet recipes, right? The problem is, most of the baked products require the use of milk. The best substitute for evaporated milk would be coconut milk, which is especially great when making pumpkin pies. You will find coconut milk to be rich and creamy, containing medium chain fatty acids, which are essentially good fats. So you see, you don’t actually need to get rid of your baking equipment or give up baking. With the aforementioned healthy alternatives, you can look forward to whipping up wonderful creations to impress and surprise your loved ones and friends.